Would you like us to be friends? In my point of view, we are friends. 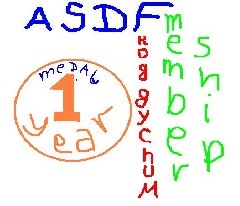 I had found another cool forum, but I like ASDF even better than it. ASDF is the only forum that has touched my heart. I can`t be concentrated in more than one forum at the same time, because of my autism. Also, I was on a seaside holiday. I did not have access to Internet for a while. You can consider this my return to activity on the ASDF forums. I consider ASDF a very lovey-dovey forum. In a completely positive sense. I wish peace all over the world and ASDF all over the Internet. Last edited by Ivokyuftaf6666 on Tue Jul 24, 2018 6:51 pm, edited 1 time in total. Re: Hello again, ASDF! I am returning! Hello and Thank you to all of you! I call them Asp Burgers. Thank you very much! It is very apetizing and tasty. I will download the picture to my computer. will you consume the pixels with the might of a ravenous archangel set on swiftly deleting the population of a known universe?